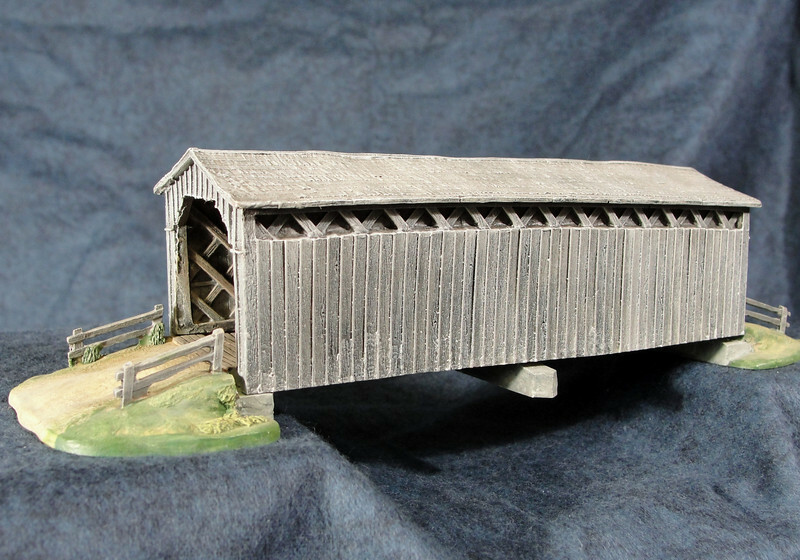 Highly detailed portayal of covered bridges. Cedar Creek Bridge full view. These sculpts were innovative at the time in the way that I was able to show the client how to achieve the important interior bridge compoments while keeping the reproduction costs down.